If you’ve landed here, you may be familiar with my post from December 5th, The Real Scoop on Book Award Competitions, Part 1. If not, be sure to take a look and see why and how I began entering award contests for my historical novel, The Other Side of Freedom. One thing I didn’t mention then but will share with you now is that I had unexpectedly received opportunities to earn a little extra money by editing others’ work. Divine providence, perhaps? They were small assignments, but I saved the money. Instead of spending my fund on travel, I chose to invest in the possibility of receiving an award for my book. Some might call it risk, LOL. So, in Part 1 you learned about what happened with my first entries. Not all bad. And here are the rest! Readers’ Favorite Book Reviews and Award Contest Before I even considered entering the contest, I had requested and received a free review for one of my other books. (Be sure to look into that on the website.) For the contest, I entered The Other Side of Freedom in the category Children – Pre-teen, submitting a mobi file online and paying a fee, to which I chose the option of adding $1 donation to St. Jude’s Hospital. To my disappointment, Readers’ Favorite did not announce the results by email, but I knew approximately when they were due. I searched every few days until I found them, and my book had won! Gold-medal Winner for Coming-of-age. This contest has perhaps the greatest number of categories and winners, but the prizes give the books good exposure. Some winners are considered for representation by Folio Literary Management and some for film production by Wind Dancer Films. Other winners are receiving publicity or marketing from a number of companies. There’s a lot of information to absorb, so plan to spend a while on the website. Gelett Burgess Children’s Book Awards I entered this 2017 contest in December 2017 and still can find no results a year later. (See the 2016 winners at the link.) I was allowed to enter past the deadline because I emailed the address provided and was told they “need more YA.” I had to not only pay the entry fee but priority-mail three books. I cannot give this contest a recommendation. Eric Hoffer Book Award Described as an “independent book award for the small press, academic press & independent press, including self-published books,” this one had one of the moderately-priced entry fees among those with fees. My book was a finalist, for which I was notified by email. The category was YA, which includes juvenile and teen. Book of the Year Awards (Independent Author Network) This competition attracted me because of the categories, cash prizes, and gala awards ceremony. I paid a very affordable fee for the first category and a reduced fee for the second category. I entered my book in Historical and Juvenile. It won Outstanding Fiction Children/Juvenile and Second Place Book of the Year. It was also a finalist in Historical fiction. Unfortunately I was not able to attend the ceremony in Miami. You don’t need to be a member to enter this contest, but I joined after winning. The Christopher Awards (Catholic, family literature) I almost forgot about this one! Presented to TV and cable, feature films, and books for adults and young people, it was established to “affirm the highest values of the human spirit.” Although achieving this award would be a long shot, I entered my book. If nothing else, it would be seen and perhaps read by other Catholics who recognize good Catholic literature. As you can see, only six books for young people received the award. I had to mail three books, but there was no entry fee. Children’s Literary Classics Book Awards Earlier in the year, my book received their Seal of Approval. I took that as an indication I should enter. I uploaded one ePub book, mailed one book, and paid a fee. I entered in the upper middle grade level for ages 11 to 14 years. I chose Historical as a category, plus got a free entry into the Eloquent Quill Top Honors award for youth books. The results? Gold Winner in two upper middle grade categories: General and Historical. The awards ceremony will be in Rapid City, South Dakota in May, 2019, and I plan to attend. Catholic Press Association (CPA) Book Awards I cherish the certificate I received for Third Place, Children’s. I have a newspaper background, and I know how greatly such awards from press associations are coveted. It being an award from within this Catholic sphere makes it even sweeter to me. As a non-member, I paid a higher entry fee than a member. 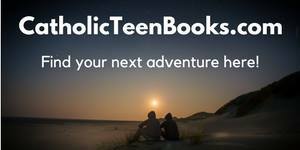 Catholic Writers Guild’s Catholic Arts and Letters Award (CALA)I am a Catholic Writers Guild member, so I was aware that competition would be fierce, especially because there is only one category for books for young people: Children’s and YA (Young Adult). One of my familiar colleagues was bound to win, and one did! My book had to have received the CWG Seal of Approval. The fee was low, and I mailed three books. Purple Dragonfly Award (Story Monsters, Inc.) This is a competition open to any year of publication, which is different from the other contests. I entered an ebook instead of going for the print competition. I got the Early Bird special fee. Results will be known in June, 2019. Best Indie Book Award With about a dozen categories total and few where my book would fit, I took a chance and entered my book in the category of Literary/Mainstream because a book with a young boy character had previously won in that category, and the Children’s category seemed won mostly by picture books or early chapter books. I did not win, and I don’t believe finalists were recognized. The entry fee was in the moderate range. There were two other competitions I considered entering. One was Christian Indie Awards, formerly Christian Small Publishers Association (CSPA) Awards. I didn’t enter because, based on past winners, I couldn’t decide between Children’s and YA categories. I wish now that I had made a decision and entered. Another was the Benjamin Franklin Awards (Independent Book Publishing Association). The author’s indie publisher must be a member, and mine wasn’t, so my fee would’ve been $225 instead of $99. That placed it out of my reach. I hope I’ve provided some useful information for new and established authors. In addition to these contests, look for those open only to authors in your city, state, or country or to authors of your particular ethnicity. So many opportunities to win exist. You just have to find them and enter! If you are dedicated to your career, you’re probably stuck in your office, in the store you manage, or in front of a computer more than 40 hours a week. A problem always seems to exist that requires your immediate attention. But this time the answer eludes you. It happens a lot to writers, too. Sometimes our focus can be so I intense that we don’t see the big picture, and we lose the creativity needed to find a solution. Ray was trying to pull a fast one on his wife, who popped in at the newspaper where he worked, but he spoke the truth in his own deceitful way. We sometimes need to step back and view our work from a distance, perhaps as an outsider. Place some space and time between our problem or project and ourselves. Think of something else. I can’t fill my time with nonsense, you might say. I don’t have time for a break. When this job is done, then I’ll relax. But recreation leads to re-creation, or creating anew. When we return to our problem or project, we might see it in a new way. And often, we are excited to get back to work. The filler is sometimes the fanner of the creative flame. The break is sometimes the boost to our brains. So eat a relaxing meal in a restaurant instead of fast food. Volunteer for a few hours for the enjoyment of it. 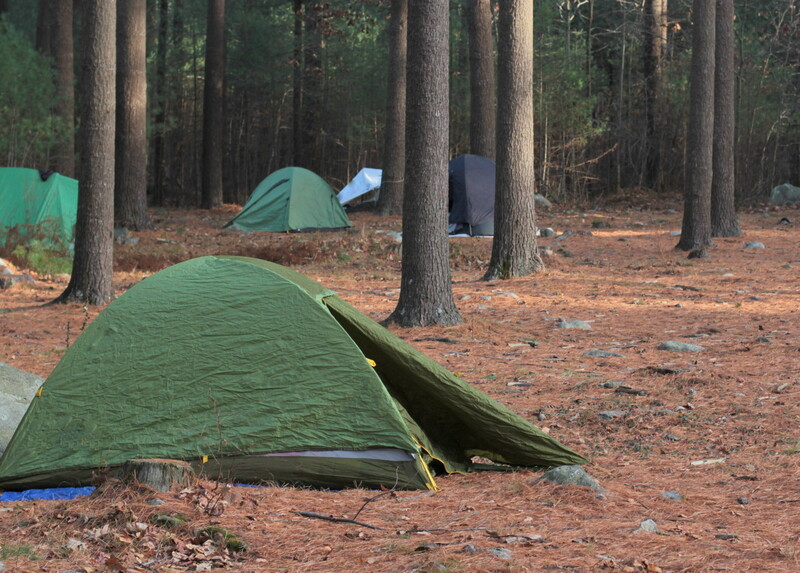 Take a walk or go camping, and listen to nature. Visit with family or friends. The answer you seek might be out there somewhere.